Before I go any further, I'm not a fan of the Armed Forces. Firstly, I believe there should be peace, not war. Secondly, I think the military takes up too much money (especially the billions spent on nuclear weapons, which are barbaric and totally un-necessary, and the billions spent on the illegal war for oil in Iraq). Thirdly, the Armed Forces are heavily tied in with Imperialism, ie the process of major capitalist powers exploiting the Third World by using military force when they threaten the global capitalist system. But there is another important issue at stake. The Armed Forces, especially in the UK, have a strict line on not employing people with disabilities or with a history of disability. This is a very controversial issue, with extreme views both for and against the employment of disabled people in the Armed Forces. Unfortunately, the case of Douglas Bader has been hi-jacked over the years by patronizing b******s, who see him as "tragic but brave" and state that all disabled people should be "just like him" and "overcome" our disabilities. What they don't say is that Douglas Bader would not be so lucky today, as he was in wartime - when discrimination had to take second place to the need for "cannon fodder". The British military is one of the worst in the world for not employing disabled people. I remember a case in the early 1990s, during the Gulf War, of someone who killed himself after not being allowed into the RAF - because he wore contact lenses ! (Even the US Air Force are not that extreme, and weren't at the time, either). 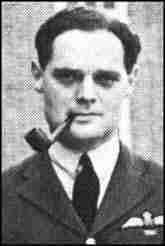 So I make no apologies for including Douglas Bader on this web-site. In being a heroic fighter, even with no legs - far from bringing "overcoming disability" to a personal level - his story shows how much the system and the Establishment deserve a kick up the arse for discriminating against disabled people (except when it suits them not to) ! 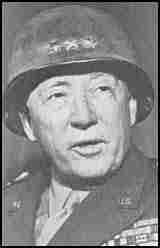 Others associated with military operations, eg Winston Churchill (the UK prime minister during World War II) are listed elsewhere in this web-site. In addition, a number of revolutionaries have engaged in guerrilla warfare, notably Che Guevara who had asthma. Online Poll - should the UK Armed Forces recruit people with disabilities ?